78 cards + LWB in a sub-par glossy white cardboard tuck box. 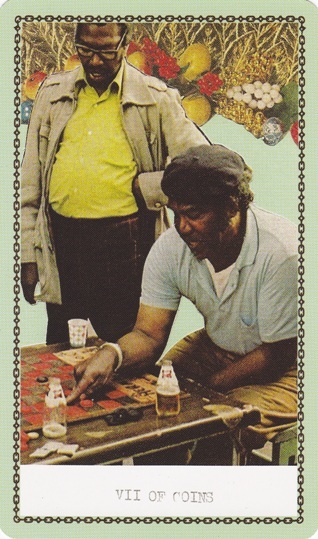 The deck was self-published and there is no ISBN or URL anywhere on the cards, booklet, or box. Cards measure 12.7 cm tall x 7.5 cm wide. 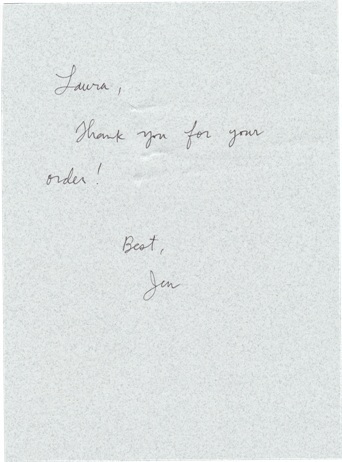 The card stock is marvelous -- a pleasure to handle and easy to shuffle. It is flexible, with a smooth, lightly glossy finish. 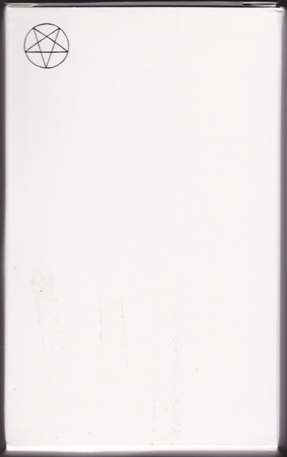 The box is the same on the back and the front -- plain, glossy white, with a small, black pentacle in one corner. The title of the deck appears on both sides of the box. 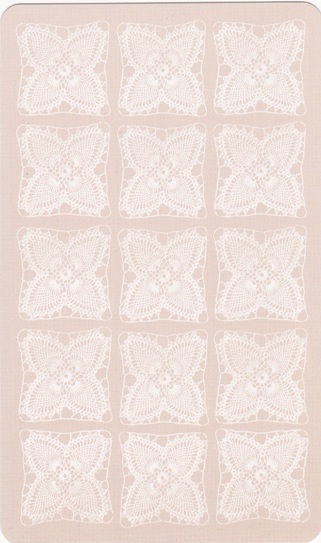 Backs are a reversible white pattern on a tan background. Suits are Swords, Wands, Cups, and Coins. Courts are Page, Knight, Queen, and King. The majors are unnumbered. Right out of the box, Justice appears in the 8th spot in the sequence and Force appears in the 11th spot in the sequence. The minors are scenic. 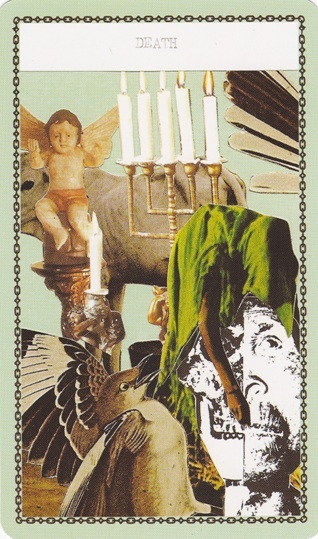 In terms of overall art style, this is a collage deck; the images look as if they were literally cut and pasted together from cards, magazines, newspapers, etc. 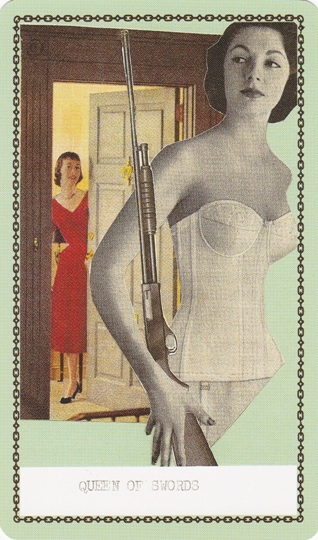 The overall effect is charming and nostalgic; I'm really drawn to this deck. Another feature that gives the deck a nostalgic feel is the light green card background color; it's somewhere between the institutional green of old hospitals and public buildings, and the mint green that was/is sometimes seen in mid 20th century kitchen tables and appliances. I have two copies of this deck, one of which is still in shrink wrap. I initially backed this deck on Kickstarter, pledging $40 USD for a copy on March 31, 2013. The project was funded on April 22, 2013, and the deck shipped in the summer of the same year. I forgot about having backed the deck, and ordered another copy when they became available for sale on Etsy (I paid $25 USD on August 24, 2013). J.M. 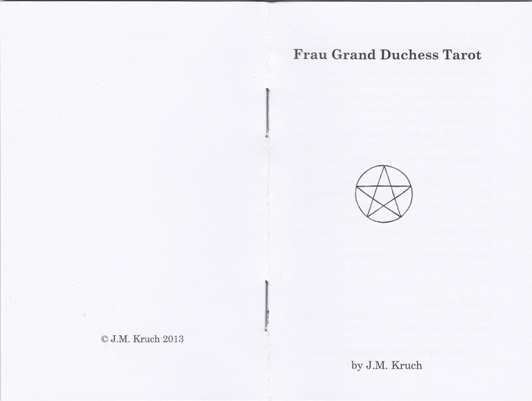 Kruch (Jen Kruch), “Frau Grand Duchess Tarot,” The Osborne Tarot Collection, accessed April 21, 2019, http://tarot.zerosummer.org/items/show/282.